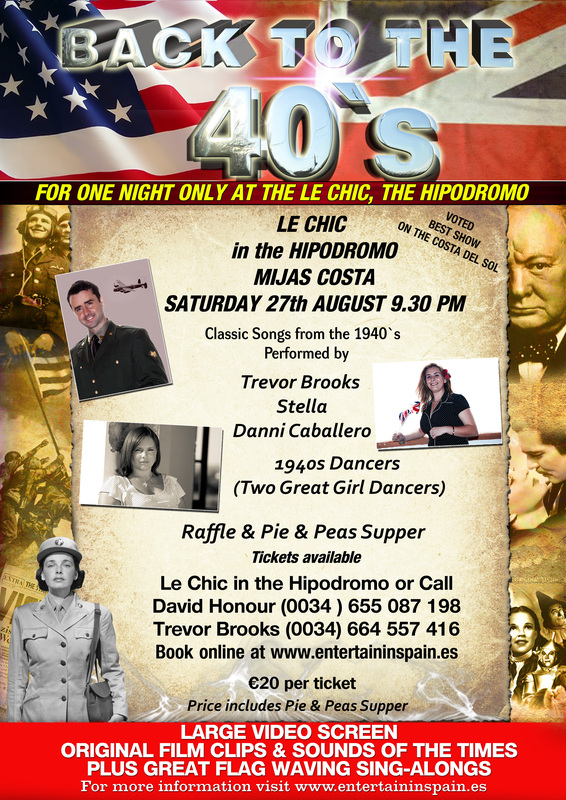 “Back to the 40’s” A Nostalgic Musical Event | Marbella Marbella – Adelante! “Back to the 40s” is a nostalgic musical return to the days of the second world war. Featuring unforgetable songs from that time enhanced by synchronized video clips from news-reel footage and film. This Trevor Brooks production has had rave reviews each time with comments such as “The best musical on the Costa del Sol”. 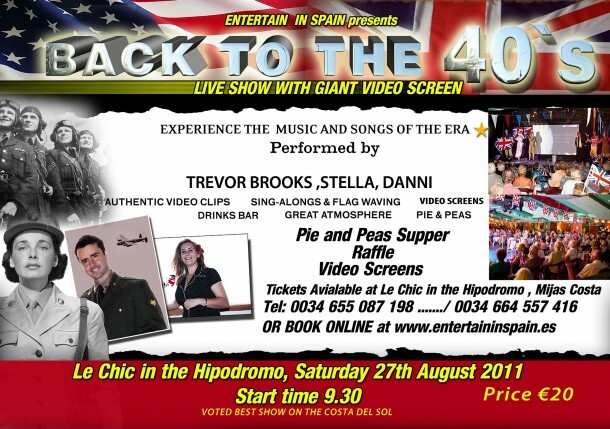 For the first time “Back to the 40s” will be performed in the open air at the live music venue in the Mijas Racecourse – “Le Chic”. Seating 300 people this is the perfect summer location for a musical, with the warm evening breeze and the stars as a ceiling. There will be plenty of classic ‘sing-along’ songs, dancers and a good sprinkling of comedy during the 2 hour musical. During the intermission a “Pie and peas supper” (included in the 20 euros admission) is served whilst a raffle is held.